I’ve enjoyed doing the podcast. It’s certainly done what it was supposed to do, providing a venue for enforced research for my Cassiodorus/Psalms book. For that alone it’s been beneficial. I’ve found some aspects of it frustrating as well. Chief among them is that I find it oddly detached from listener data and feedback. I use Soundcloud but it is also pushed to iTunes. I can see how many listens each episode has received on Soundcloud, but have no idea about the iTunes side. I literally have no idea how many people are or aren’t listening to it. Apparently the proper way to do it is to use a self-hosting solution that runs through subscription services so that you can track the number of file downloads directly from the server—but I didn’t do that when I set it up. Hence, I lack data to get a clear sense of when and why I get listeners. All in all, I like podcasting. If anything, I think the St. Bede Psalmcast might be a little too structured—I’m wondering if a more free-form podcast might be more engaging, particularly if it’s not “purpose-driven” in the same way that this one was. In any case—that’s it for a while, anyway. This entry was posted in Random, Tech and tagged St. Bede Psalmcast on August 19, 2016 by Derek A. Olsen. This entry was posted in Anglican, Psalms and tagged St. Bede Psalmcast on July 1, 2016 by Derek A. Olsen. This week’s image comes from Walters Ms. W.435, a book of hours here at the Walters Art Museum. This entry was posted in Anglican, Psalms and tagged St. Bede Psalmcast on June 17, 2016 by Derek A. Olsen. This episode tackles Psalm 30, the psalm appointed for Option 2 for Proper 5 in Year C of the Revised Common Lectionary. We talk a little bit about lectionary mechanics to explain what all that means before we get to the psalm itself. The book referred to in the show is W. Kelly Simpson’s The Literature of Ancient Egypt, available at Amazon and other retailers. The image for today’s episode is from an Egyptian memorial stele in the Manchester Museum and is in the public domain here. This entry was posted in Anglican, Psalms and tagged St. Bede Psalmcast on June 6, 2016 by Derek A. Olsen. Hi, I’m Derek Olsen, creator of St. Bede Productions. I’m an Episcopal layman with a PhD in New Testament and a passion for the intersection of Liturgy and Scripture. Welcome to Episode 10 of the St. Bede Psalmcast, a podcast about the psalms in the Revised Common Lectionary, reading them in the context of the Sunday service and alongside the Church Fathers. We had a bit of an unexpected hiatus from Holy Week through the Easter season. This was due to my wife taking a new position as rector of a congregation and all of the various shifts in our family routine that that caused, but also because several major projects I have been working on have reached some major milestones. The two big ones here are a new recode of the St. Bede’s Breviary which is up on my test site now, and also the finishing work on my next book on the spirituality of the Prayer book coming out from Forward Movement next month. 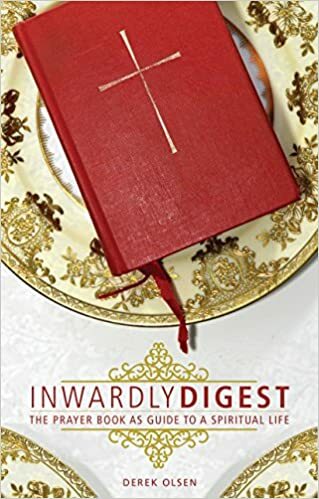 So—check out the new release of the breviary if that interests you; I’ll put a link in the show notes—and keep an eye out for the book, and I’ll let you know when that shows up on Amazon and other places. Before that happens, though, we need to get on with this episode of the psalmcast! Today we’ll be talking about Psalm 8, the psalm appointed for the Feast of the Holy Trinity which this year falls on May 22nd, 2016. So, why is this psalm appointed here for this day? Clearly, the Feast of the Holy Trinity is different from an ordinary Sunday. This is a feast that celebrates a doctrine, so all of the lectionary selections are referring in some way to the interrelations between the three persons of the Trinity: Father, Son and Holy Ghost. Now—here’s the thing… The doctrine of the Trinity is one that flowed fundamentally out of Christian experience. They had powerful spiritual experiences and through these gained the solid conviction that God the Father, Jesus, and the Holy Spirit were all divine in the same way; but figuring out exactly what that meant and what that means for us was a pretty complicated task. The best response to these sort of critiques—or even allegations—is to go back to the starting point. The truth of the Trinity flows out of Christian spiritual experience. So, all of the apostles, Mary, all the disciples as good Jewish believers would have regularly recited the Sh’ma: “Hear, O Israel, the Lord our God, the Lord is one.” However, they soon began to feel the continuing resurrection power of Jesus in their lives and also the on-going presence of the Holy Spirit, guiding, directing, and purifying them. So, they were working with the data of their spiritual experience. God is one as the Scriptures and the Jewish confession insists. However, there were these three persons who impacted them in powerful and important ways. So—now at this point—the early Christians then went back to the Scriptures to see if they could find clues hidden away in the Old Testament and in the New to help them make intellectual sense of their spiritual data. So, starting with a conviction about the Trinity, they dug back into the texts. Also—at the same time—the Church engaged all of tools that they had—including philosophy—as a means of wrapping language around this mystery that they were all experiencing together. And that’s where the Greek philosophy comes to all of this: it was the framework that they had in order to try and wrap language around this experience that they were having. Don’t ever think that Constantine sat a bunch of bishops down and said, “Now—think up a new idea that we can use to destroy the simple faith of Jesus and do something else with instead.” No—it didn’t work like that. And this is pretty clear for several reasons: the first and most obvious is that if a bunch of guys had sat down and dreamed this up out of nothing—it would have made a hell of a lot more sense! It would have been easy and clear and straightforward—but it’s not… And that’s not because some guys made some stuff up; rather it was because they started not with thinking, but with the data of Christian spiritual experience. Alright—why did I just go on that big tear; wasn’t I supposed to be talking about the other lectionary readings grouped around our psalm? Yes, yes, I was. But! We had to get that out of the way so that we would understand properly what it is that we are looking at in our lectionary readings. The first reading comes from Proverbs 8. Which, looking at it historically, really doesn’t seem like the best choice at all. So. Proverbs 8 is one of several creation stories that are sprinkled throughout the Old Testament. Yes, we’re most familiar with the one at the start of the Bible, but actually we have two different ones slammed together there, on in Genesis 1 and then a different on in Genesis 2-3. This shouldn’t bother anybody—just like it didn’t bother our Hebrew and Jewish ancestors in the faith. None of these stories were intended to be scientific accounts; instead they are all spiritual metaphors that get across the main point—God made everything, God is in control of everything, and everything was made both well and good. That’s the key here. Hence, our Old Testament reading is Proverbs 8. Basically, it tells the creation story from the perspective of Wisdom. Now—given the placement of the reading and what it says, the *assumption* is that Wisdom here must be a member of the Trinity, and many readings assume that. Wisdom is a major focus of and a recurring character within the Bible’s Wisdom literature and is personified as a woman. The key reasons for this are because in Hebrew (and also in Greek), the word wisdom (hochma or sophia) are grammatically feminine, but also because the literature sets up wisdom as an object of desire for the male scribe or sage who is seeking after it. Modern Feminist theology has made an identification between Wisdom or Sophia and the Holy Spirit and thus in parishes like the one I attend, you’ll often hear people refer to the Holy Spirit as “she” or “her” and that’s why. However, in the early Church, wisdom was understood to be Jesus and so in direct reference to this passage and especially the image in verse 27 of “drawing a circle on the face of the deep” there’s a famous manuscript illustration of Christ the architect with a compass, drawing the circle on the face of the deep. The reason why this is such an odd reading for Trinity Sunday is because verse 22 was one of the chief prooftexts for the Arian heresy that argued that Jesus was a created being rather than being God. That Jesus was the very first and the very best of all creatures, but still a creature. Orthodoxy, said, no, Jesus is God and always was God, and therefore isn’t a creation of any kind. Ok—so that’s Proverbs 8. We could say a lot more about this reading but this is a podcast about the Psalm and we haven’t gotten there yet. The reason why I went into such detail here is to give you a sense of this search for the Trinity that the early Church undertook that will be important in talking about our psalm, and to show you the mindset of the church as it read the psalter. Real quick, the Romans 5 passage talks about the confluence of the Trinity, Father, Son, and Holy Spirit as we experience justification and the growth of virtue into sanctification. The Gospel is John 16—again. And, yes, your preacher is probably running out of things to say about this passage too because we’ve been working in it for the last half of Easter it seems. Now, is there other information we need to help us understand what’s going on? You’d think not after everything that I’ve already said, but no! There’s some other stuff that we’ve got to talk about now… The key thing we need to address at this point is inclusive language. I consider myself a feminist which I would define as the radical notion that women are people too and deserve to be treated as such. I have a wife who is a priest and I’ve seen people and institutions treat her in ways that they would never treat a man. I’ve seen her asked questions that would never be asked of a man. I have two daughters, and I firmly believe that their gender should never be an artificial barrier to what they want to accomplish, nor should they have to live, work, or play in an attitude of fear because of a society that hides or ignores violence against women which is a reality and that we need to address in some pretty major ways. So—let’s get that out of the way at the beginning. You run into discussions about two particular topics around inclusive language in the church. The easiest way to say it is that there’s horizontal inclusive language and vertical inclusive language, there’s inclusive language about people and there’s inclusive language about God. I regard these two as separate. That is, we’re dealing with different sets of issues when we consider each. Today we need to look at the first, not the second. That is, we’re looking at inclusive language around people—the horizontal perspective—not inclusive or expansive language about God. The Bible was produced in a patriarchal culture. Men were the ones who could read and write. They were the ones who could be priests and scribes. As a result, the basic, flat assumption was that literate culture was about men writing to men. So you see “he” and “the man” or “men” or “brothers” all over the place. Horizontal inclusive language recognizes that this isn’t our world or our experience anymore. Literacy is not restricted to men. And while some authors might intend the term “men” to be inclusive and to be synonymous with “humanity,” it’s not on a basic plain-sense reading of the text by a modern American used to modern texts. Thus, when the traditional-language version of the creed says that Jesus became incarnate “for us men and for our salvation”, it’s not intending to exclude women, it assumes women are in there, but you can see how a regular American reader off the street might read it that way. There are two ways to address this. One is education. We teach people to realize that references to men are, for the most part and in most cases, simply generic references to human beings. That’s how I read our traditional language, Rite I service; that’s how my girls and my wife read it—and, yes, they like Rite I as well. The other way to address it is to edit the scandal out while retaining the intention. So, when Paul—who was actually quite progressive on women’s issues for his time—says “brothers” we know he is addressing the whole congregation so it’s still within the intention of the text to translate it “brothers and sisters.” This is the tack taken by the New Revised Standard Version of the Bible (the NRSV) which is the most widely used Bible in the Episcopal Church and most mainline denominations. The prayer book usually uses this approach as well. “Brothers” becomes “brothers and sisters” and the generic use of “the man” in order to refer to an individual gets turned into a plural. So instead of “the man” and the subsequent use of “he,” you get “they”. Where the prayer book usually utilizes inclusive language and typically makes a move to the plural, in this case it doesn’t. And this is really important. The translators of the prayer book psalter made an informed theological decision here. This has absolutely nothing to do with a wavering commitment to inclusive language, rather, it points to a broader awareness of Christian Scripture. or the son of man, that thou carest for him? So, Hebrews is making a connection between “Son of Man” drawing from the Book of Daniel and from the title used throughout the Gospels, with this psalm and Jesus. This works if the psalm is making reference to “a man” and leaves the phrase “son of man” intact. It works in the RSV. It fails miserably in the NRSV. The whole argument in Hebrews is fundamentally altered and misread in the NRSV because they retain the inclusive plural both in the psalm and then try to inject that into the argument in Hebrews. It simply doesn’t work right! So, that’s a really long—and potentially contentious—way of saying that Psalm 8 has historically been read in the church not only as a statement on the dignity of humanity, but more particularly in relation to Christ and the status of Christ—which then (finally) is why we get this particular psalm appointed for us for the Feast of the Holy Trinity. Incidentally. Psalm 1 which we hit up there was classical read about Jesus as well—when it says “blessed is the man” that was seen as the first psalm introducing the theme of Christ which would then run throughout. In a modern version when we read “Blessed are those” or “Blessed are they” that’s not even a potential reading and lops off centuries of Christian interpretation. So to just wrap up the inclusive language tangent, I see nothing at all wrong with the use of the NRSV and other translations that use inclusive language in the public assembly and as a way to get people into Scripture without the burden of an apparently patriarchal perspective. However, my personal preference for private devotional use when I’m using English is the RSV because I understand that it’s referring to women as well as men and because that way I don’t have that filter between me and the language of the text. Since we’re not the first Christians to read the psalms, what insights have others found within this text before we came along? This is typically the section where I’d start talking about Cassiodorus and Augustine, but—honestly—I’m going to skip them today. If you’ve spent any time with this podcast, you know where they’re going: this text is right in their wheelhouse. Obviously, the man, the Son of Man is Jesus so they follow the lead of Hebrews and see this as the voice of the Church praising Christ. Just a few quick notes, then—Cassiodorus sees this psalm as one of a group of 8 other psalms that specifically focus on the two natures of Christ and emphasize the humanity of Jesus alongside his divinity. Also, at the very end of his thoughts, Cassiodorus makes reference to and quotes from Ambrose’s Christmas hymn Intende qui regis Israel better known from its second verse, Veni redemptor gentium which we have as numbers 54 and 55 in our hymnal. How do we read this psalm on this day? You put all things under his feet. Now, there are two major approaches to hearing and pondering these lines. The first is the classical approach, the approach Hebrews takes, the approach the fathers took and to see the references to “man” and “son of man” as being references to Christ. The second is to understand these as generic references to humanity. Now, I believe that there is a single correct answer here, and that answer is: both! We get the fullest sense of the text and the fullest revelation and insight into who God is and who God is for us, when we see that these two methods reinforce and strengthen one another. Thus, you get more meaning and better meaning when you read them together than if you try to go with either one or the other. Let’s tease out the first option first, reading son of man as a Jesus reference and play with that for a little bit. I think our natural starting place is to see the speaker of the psalm addressing God the Father. In this sense, then, we move from creation to the notion of incarnation. We start with the heavens, then we move to Jesus. What is man, the son of man? Well—he is one who took on our flesh and is indeed a figure singled out from amongst all creation. In his self-emptying humility (be thinking Philippians 2 here) he has willingly taken upon himself the limitations of flesh and humanity for the purpose of transforming humanity and the human experience with exaltation as a result. And, as Episcopalians, we shouldn’t be able to hear verse 7 here without a line from Eucharistic prayer B rattling around in our heads: “In the fullness of time, put all things in subjection under your Christ…” That’s what we’re talking about here. Now, let’s play with this angle a little bit. Cassiodorus puts this psalm in mouth of the Church. So this is us singing our praise to God. Great, that’s fine. But—as a thought experiment—how does it change what we hear, if we hear this psalm in the voice of Jesus rather than the church? What if we hear this as Christ’s own words and ponderings to the Godhead? Clearly as an observant Jew and as who prayed the psalms, this is one he must have prayed, particularly given his apparent fondness for night-time vigils. I’m not trying to make a point here—I’m just raising the question: how does it change the way we hear this if we hear him speaking it? Now let’s do one more transformation on it… We’ll get into some potentially confusing territory here so let’s define some terms: the ontological Trinity is a statement of the persons of the Trinity be means of the dominant metaphors by which they are known to us in Scripture and in the Tradition and that’s the familiar : Father, Son, and Holy Spirit. Then there’s the economic Trinity. This has seen a lot of us in recent years, but much of that use has been imprecise or potentially misleading. The economic Trinity is Creator, Redeemer and Sustainer, but if we’re going to use it we need to get one thing straight up front. This is not the same as the other. Because this refers to core functions carried out by the whole, united, Godhead. Let me say this another way. These are the three core things that the Trinity does together, not three separate roles or modes or jobs done by the three separate persons. What does that mean? The easiest way to say it is like this: When we look at Scripture we see places where God the Father is creating. We get this in Genesis 2 and 3. We see Jesus the Son creating: We get this in John 1 with the notion of the Logos as the fundamental structuring device of all of Creation. We see the Holy Spirit creating in Genesis 1 as it moves across the waters of chaos. We see God the Father redeeming when the Israelites are led out of Egypt with a mighty hand and outstretched arm. We See Jesus the Son redeeming in his work on the cross. We see the Holy Spirit redeeming In Ezekiel’s valley of dry bones… The point I’m making here is that while we might see one person doing one of these things, these are done by the whole Trinity and are not unique to one person and that’s the problem with the way that it so often gets used as a non-gendered replacement for the ontological Trinity. If we’re not taught correct we can fall into thinking that the Father is the Creator, the Son is the Redeemer and the Spirit is the Sustainer. But that’s not what the Church teaches and that matters because of the ways that we encounter, experience, and consider the Trinity working in our own lives. We can’t and shouldn’t compartmentalize. The reason I even dared to enter these waters is just this: What if we see this psalm as the Church’s words addressed to Christ? The moon and stars are no less the works of his hands than God the Father’s. And what we get when we consider this angle is the kind of paradox that see in hymns like Quem terra pontus: “The Word whom earth and sea and sky adore and laud and magnify, whose might they show whose praise to tell, in Mary’s body deigned to dwell.” (That’s hymn 263 in the ‘82 Hymnal.) And then, this hits back to the Proverbs 8 reading a bit based on however you decide to read that. Now—if we change up and read the psalm talking man and son of man as generic humanity, then we get another interesting set of things to ponder. The people of the Ancient Near East lived in a far smaller and much more compact universe than we do. That is, conceptually, their grasp of how the world was made and its boundaries were miniscule. The habitable portion of earth is this little bubble of air suspended in the waters above the firmament and the waters below the firmament. That’s it. We know so much more. We know about solar systems and galaxies, and clusters and things that defy the imagination to try and wrap our understanding around the scope and distances involved. If they looked up and were amazed at the immensity of what they saw, how much more should we be amazed at what we see and can’t grasp? The night sky now, as then, gives a glimpse of our cosmic insignificance. The lifespan of our entire planet, billions of years old is literally a blip on the screen of cosmic time. We aren’t the center of the universe, in fact we’re nowhere near it, we’re in a minor arm of a minor galaxy. Which just puts more punch behind verse 5: “What is a person that you should be mindful of me, of humanity that you should seek us out?” As someone who approaches thing from a very intellectual angle, verse 4 is easy for me. It’s easy to see and consider a transcendent God who sits in the center of these great cosmic mechanisms and keeps everything spinning. That makes sense to me. I don’t have to stretch to consider that. But that’s the rational, Deist, clockmaker God. Verse 5 cuts at what’s hard: the immanent God who loves, who knows who cares, who is present to and for a minor person of a minor species living in the minor arm of a minor galaxy. Opening ourselves, our minds and hearts to that truth, that’s mind-blowing. And, it’s precisely at that intersection that the line from the Creed is so important: who for us and for our salvation came down from heaven.” For you; for me. This is Christ for us. And then in verse 6 we get a biblical humanism. We are not God. We are so far from God. And yet we are not without dignity. We possess a dignity from our creation in the image of God and in that Christ has taken on our form and our experience and that the Holy Spirit chooses to dwell within us and guide us. We can speak of a positive humanism that sees us and our efforts and useful and meaningful in light of God’s activity with us. So—to sum up: Psalm 8 gives us an interesting perspective on the Trinity. Reading it from one perspective gives us a meditation on a God who is simultaneously transcendent, the distant creator and maintainer of the great cycles of creation and the cosmos, yet who is also imminent and present with us in a variety of ways. From another perspective, we ponder Christ who honored human nature with his incarnation and who reveals to us a Trinity eager to know and be known. On this Feast of the Holy Trinity, this psalm reminds us that for us the Trinity is foremost and experience and then secondarily and based off of that a doctrine. We believe it because it helps us wrap our words and our minds around what we have first experienced to be true of God. So—that’s what we have to say today about Psalm 8 as the psalm appointed for the Feast of the Holy Trinity in Year C of the Revised Common Lectionary. If you enjoyed today’s show, please tell your friends about it and leave a review on iTunes. You can find more of my thoughts at www.StBedeproductions.com and follow me on Twitter (and there’s a link you can follow on my blog and in the show notes.) Until next time, I’m Derek Olsen for St. Bede Productions. The path you must follow is in the Psalms—never leave it. This entry was posted in Anglican, Psalms and tagged St. Bede Psalmcast on May 26, 2016 by Derek A. Olsen. The 10th episode of the St. Bede Psalmcast is now up! It’s a wide-ranging discussion of Psalm 8, the Scripture appointed for the The Feast of the Holy Trinity, that gets into a number of hot-button topics and unexpected places. If nothing else, this episode gives credence to my dictum that the psalms provide the perfect starting place to get into almost any branch of Christian theology and practice! This entry was posted in Anglican, Psalms and tagged St. Bede Psalmcast on May 21, 2016 by Derek A. Olsen. Episode 8 of the Psalmcast is up! This one is on Psalm 27, the psalm appointed for the Second Sunday in Lent in Year C of the Revised Commn Lectionary. The image for the show comes from page 119 of the St. Alban’s Psalter. This entry was posted in Psalms, Spirituality and tagged St. Bede Psalmcast on February 19, 2016 by Derek A. Olsen. Here’s Episode 7 of the Psalmcast on Psalm 99, the psalm appointed for the Last Sunday after the Epiphany in Year C.
The book I referred to is Jon Levenson’s Sinai and Zion. Heartily recommended! I’ve started experimenting with Pinterest as a way to collect research pieces for the show that are primarily visual; the Pinterest board for this show is here: Episode 7 Board. My original intention when I started the Psalmcast was a 20-minute show. Recent episodes have been creeping much longer than that. This one is right about 20, but that’s largely because the Cassiodus/historical section got the shaft… In this case, I don’t feel too bad about it. He didn’t have anything too interesting to say, and the Ancient Near Eastern stuff plays a larger role in this one in my opinion. This entry was posted in Psalms, Spirituality and tagged St. Bede Psalmcast on February 4, 2016 by Derek A. Olsen. This episode of the psalmcast looks at Psalm 19, the psalm appointed for the Third Sunday after Epiphany, Year C, in the Revised Common Lectionary. The image is Christ departing the tabernacle in the sun from f.10v of the Utrecht Psalter. This entry was posted in Psalms, Spirituality and tagged St. Bede Psalmcast on January 21, 2016 by Derek A. Olsen.